Ever dreamt of having fins and flippers? We'd quite like to try life in the ocean, which is why we’ve finished these T-shirts with sea animals, complete with neon details to make them stand out in the deep blue. 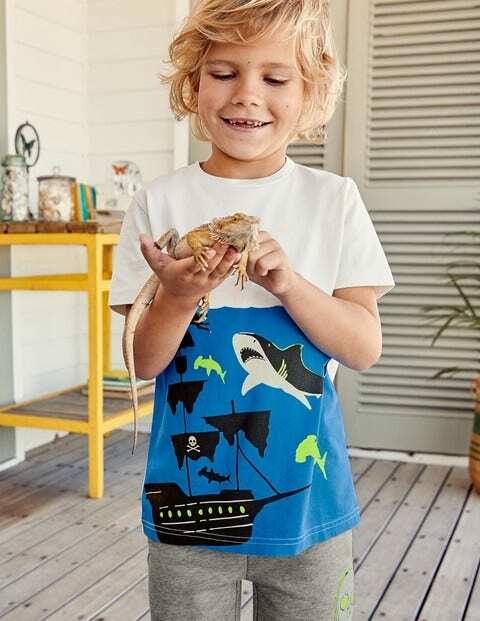 100% cotton will keep nautical adventurers comfortable on all their underwater expeditions.